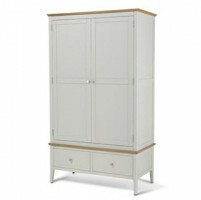 Our picture doesn't do justice to this magnificent piece of furniture. 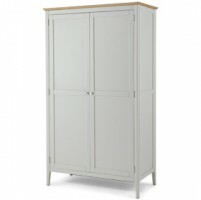 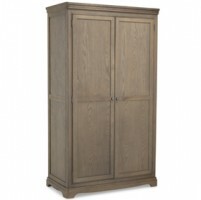 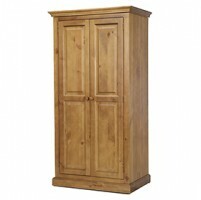 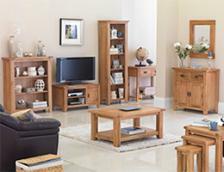 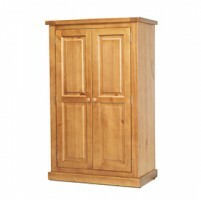 You need to see it in your own bedroom to really appreciate its rustic warmth, generous proportions and solid build. 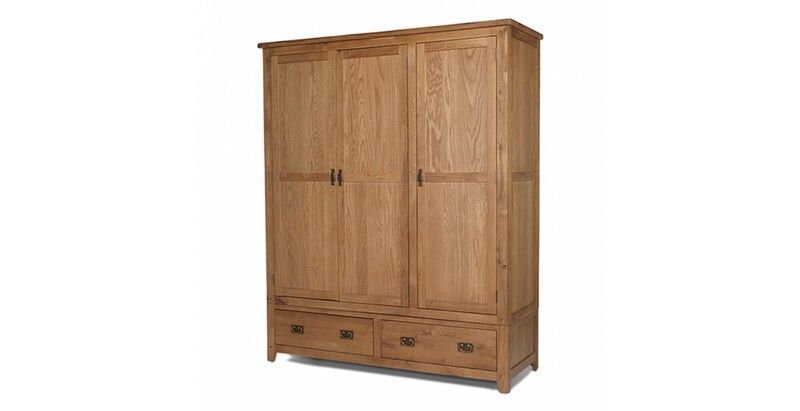 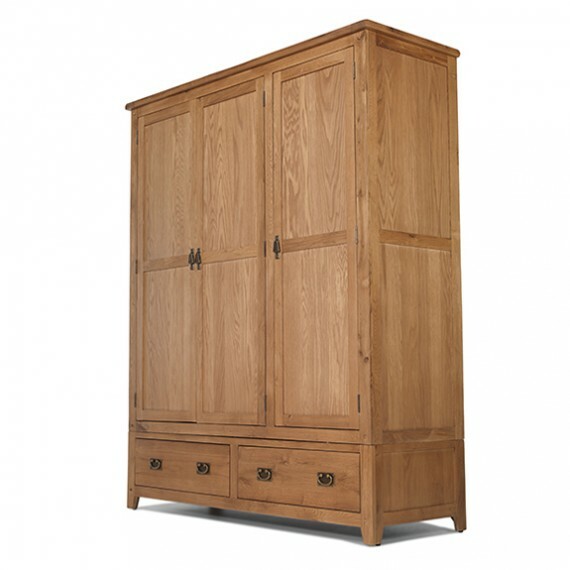 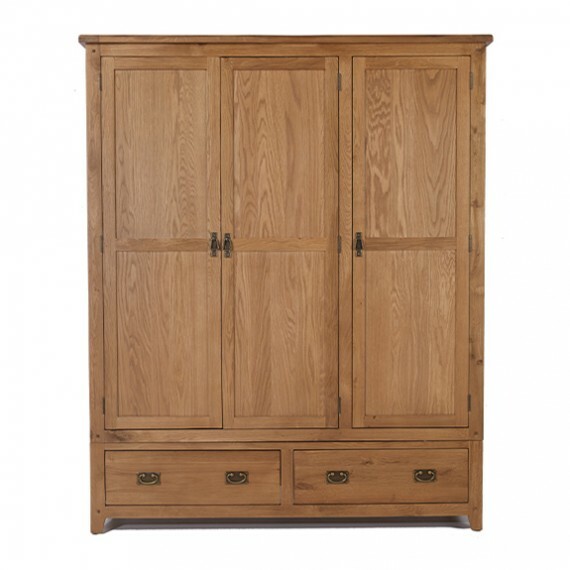 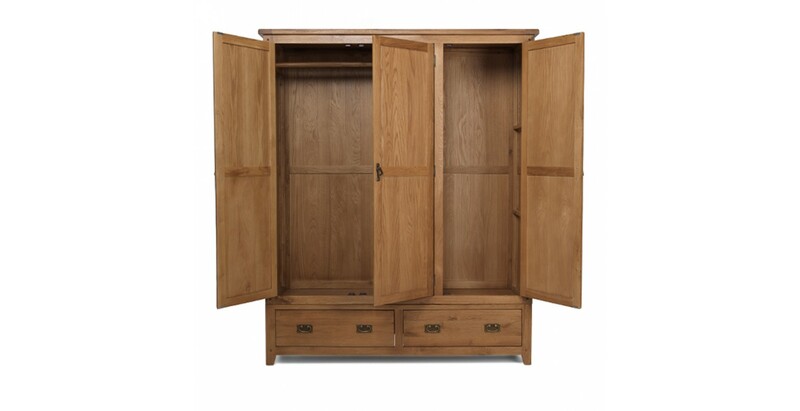 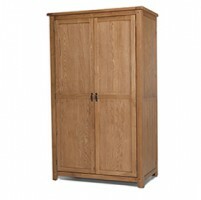 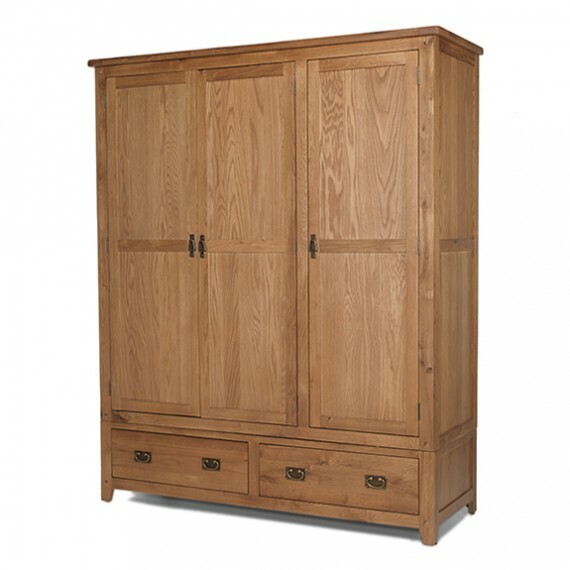 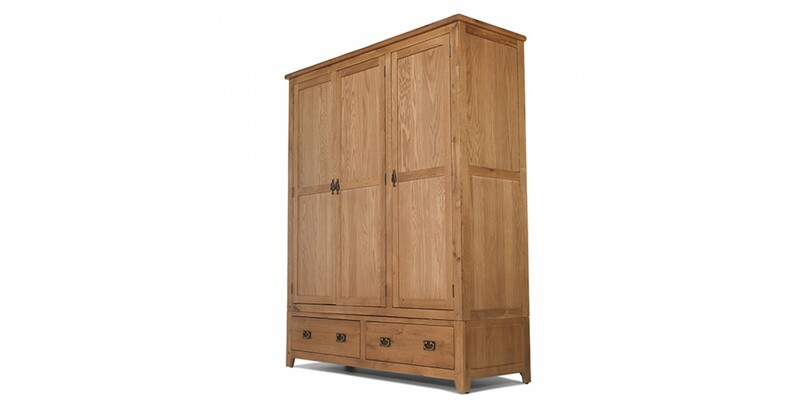 Crafted to last from chunky pieces of aged oak and finished with a natural lacquer that shows the rich grain in all its glory, it also provides ample storage space for all your clothes. 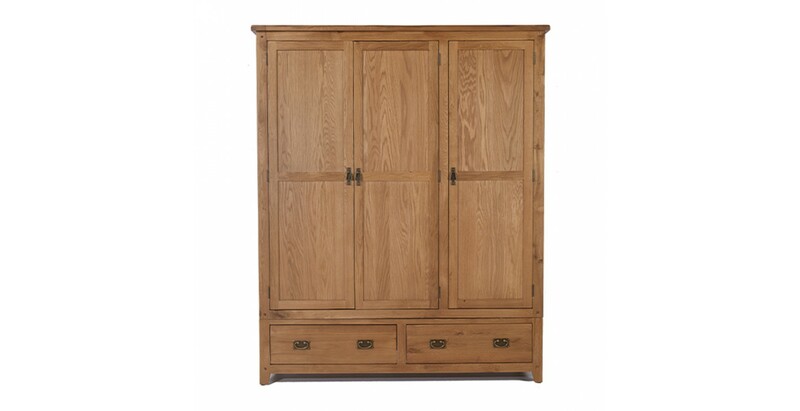 The double doors with their attractive vintage-style drop metal handles open onto a full width hanging rail. 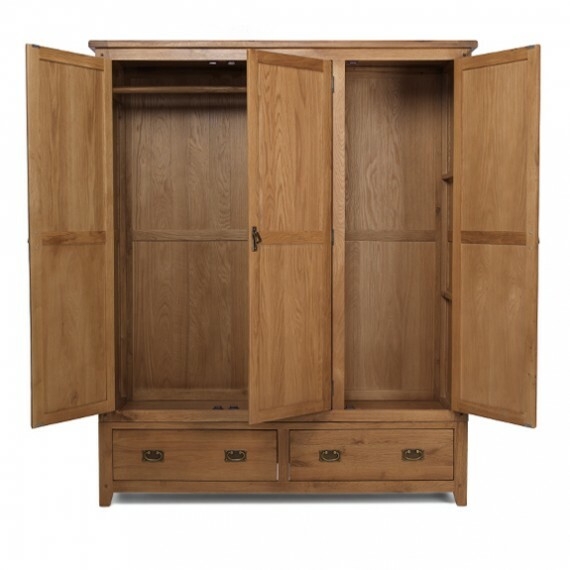 And lastly, two deep and wide drawers at the bottom will take care of stuff that's too bulky to go on the shelves.